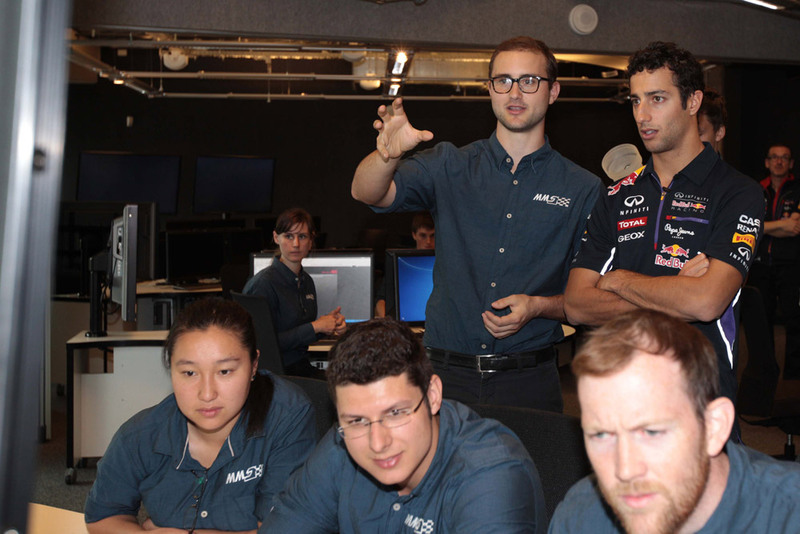 Infiniti Red Bull’s Daniel Ricciardo recently joined his team’s Chief Engineer, Car Engineering, Paul Monaghan, and Infiniti Global Director of Formula One, Andreas Sigl, at Monash University in Melbourne to provide engineering students with intel on their opportunity to submit applications for the Infiniti Performance Engineering Academy. The application process for the Infiniti Performance Engineering Academy opened on March 19 and concludes April 11. To be considered for the program, prospective students must upload their resume and a 500-word essay to www.infiniti-gp.com/engineering prior to the deadline. The Infiniti Performance Engineering Academy, which was first announced in 2013, will put three candidates through a year-long assignment that will pair them with Infiniti Red Bull Racing. Among the many perks of participating in the program are accommodations in the UK, a full salary, an Infiniti company car, and exclusive access to the British Grand Prix. The program is open to any student in their final year of an undergraduate engineering program in Australia, Canada, China, Germany, Hong Kong, Malaysia, Mexico, Russia, Singapore, the United Arab Emirates, the UK, and the United States. If you know anyone currently in their final year of undergrad who would be perfect for this program, direct them to www.infiniti-gp.com/engineering so that they might take advantage of this incredible opportunity. Zach Germain is the son of owner Steve Germain and the Executive Manager at Infiniti of Easton. A former race car driver for Germain Racing, Zach now enjoys hanging out with his dog Rocket and sharing his love for Infiniti with car enthusiasts.